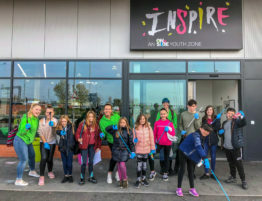 The Christmas lights switch on is one of the most anticipated events of the year in Chorley and this year, young people from the brand new Inspire Youth Zone were invited to attend and perform on stage. 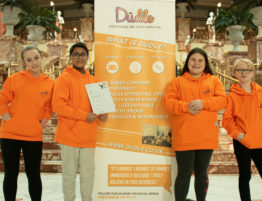 The budding thespians prepared dance and live music to perform at the event and it went down a storm in front of a crowd of over 1,000 people – the largest any of them had ever performed to. 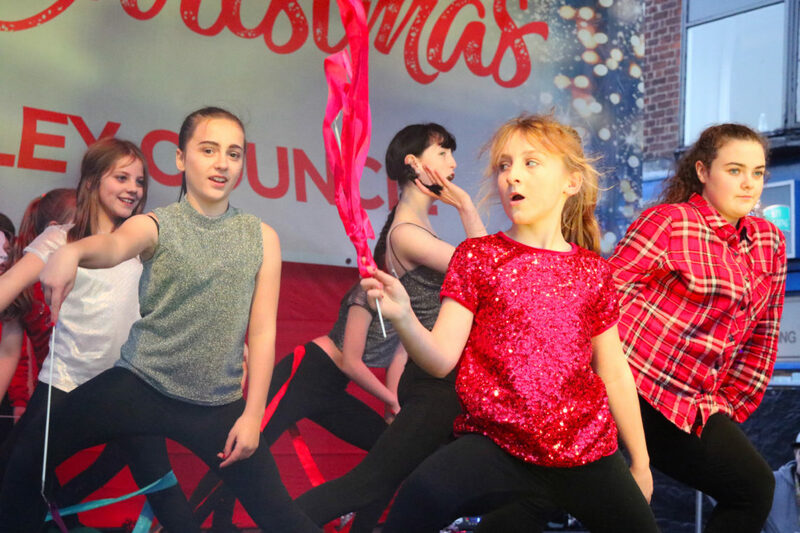 The young people took this in their stride however, and performed incredibly for the horde of Christmas shoppers, Chorley residents and eager event attendees. 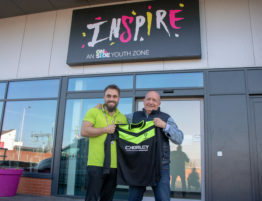 After the success of hosting as a venue for Chorley Live earlier in the year, Inspire Youth Zone was keen to give another great account of itself and further cement it’s place as a mainstay in the Chorley community. 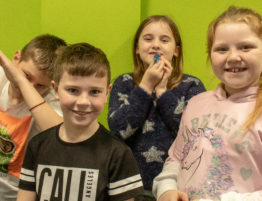 Dancing to ‘The Greatest Show’ from the film that has taken 2018 by storm, 10 young people took to the stage, armed with canes, ribbon and a whole lot of attitude. 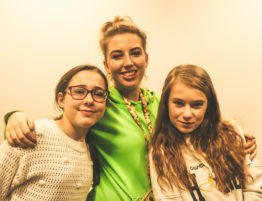 Shortly after the dance, four more young people were welcomed to the stage to showcase beautiful, stripped-back renditions of ‘You Know I’m No Good’ by Amy Winehouse and ‘Where Is My Mind?’, originally performed by rock band the Pixies. After each performance, the crowd erupted in applause and the young performers’ faces lit up with jubilation and pride. 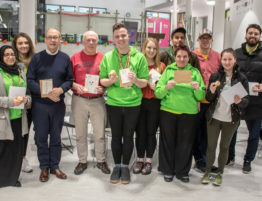 After their allotted time, the young people rushed to embrace the Youth Workers that helped them to prepare their performances and it clearly meant a lot to both the adults and the youngsters. Youth Worker, Ryan Whittaker, helped to prepare the music with the young people and was clearly proud of his performers. 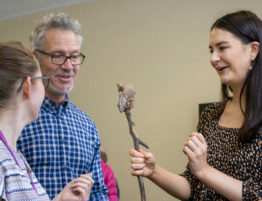 Rubbing shoulders with industry professionals also provided Chorley’s talented youth with critical experience and education in the artistry of live performance, something they’d all hope to go on to pursue in the future. 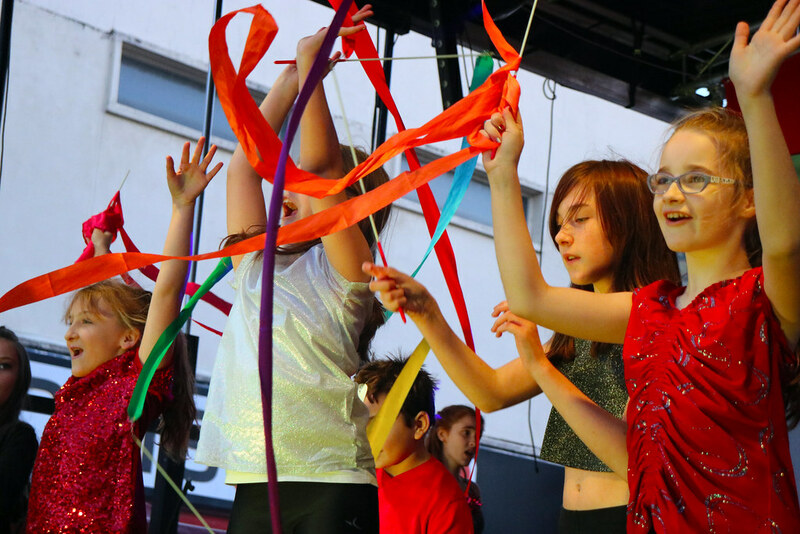 Following the Youth Zone troupe, professional costumed singers and dancers performed a stunning medley of songs before the brilliantly hilarious comedian, Zoe Lyons, took to the stage. Finally, the lights were officially switched on to a glorious spectacle of fireworks, marking the official start of the Christmas period in Chorley. 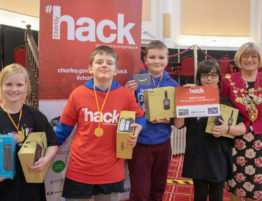 Inspire Youth Zone would like to thank Chorley Council for organising the event and inviting young people to perform, as it was an magnificent experience they’re sure not to forget in a hurry!